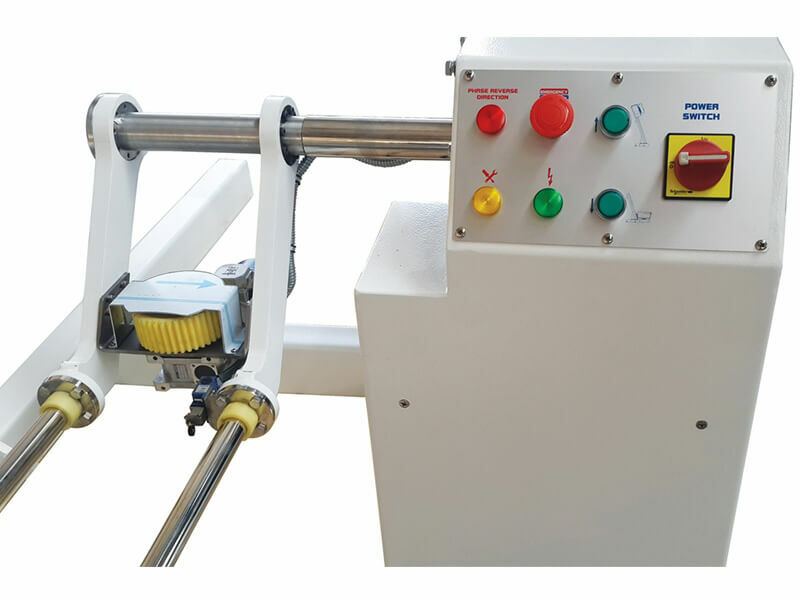 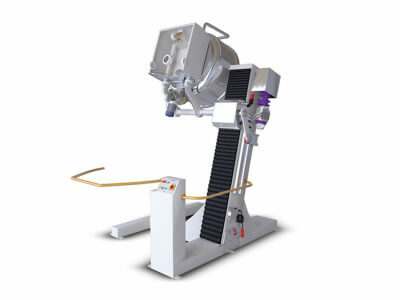 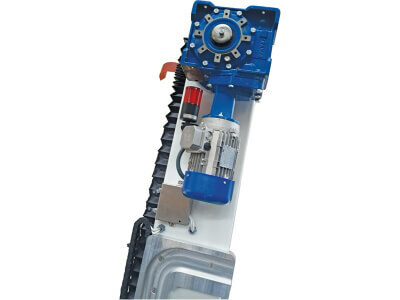 Automatic bowl tilting machine, works compatible with the removable bowl of automatic spiral mixer with mobile bowl. Automatic bowl tilting machine helps us to lift and discharge the dough in to dough divider hopper from mobile bowl of Porlanmazspiral mixer with mobile bowl. When bowl lifts highest point of the machine it turns automatically and discharges all the dough by help of a scraper. 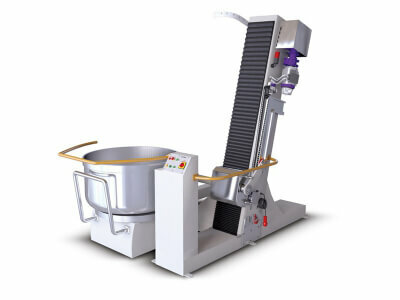 When discharging process finishes the bowl lowers very softly by means of the speed control device.